As cooler weather sets in, it’s that time of year to enjoy the changes of the season, hot toddy’s and indoor activities with family and friends. Unfortunately, lower temperatures and dry air also mean stiff joints and dry, cracked heels and skin. 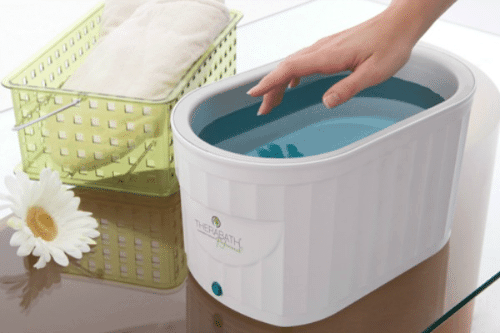 Paraffin treatments are incredibly moisturizing and soothing to soften your hands and feet…..leaving your skin more radiant! The best part of all you may wonder? A luxurious and relaxing hand or foot massage is included with each paraffin treatment at The Nail Lady nail salon in Scottsdale, AZ. A wonderful addition to any manicure or pedicure service…..the ultimate in pampering yourself! You deserve it! Curious how your toenails grow?